I took the Just a Card 5 day social media challenge and shared what Just a Card means to me and my business. 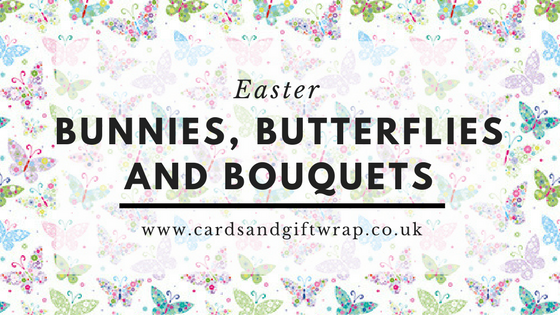 I’m Janet and this is my wee independent biz, Cards and Gift Wrap. Cards and Gift Wrap started because I am a full time mum at home with 4 children, now aged 2 to 12. I seemed in constant need of birthday cards and wrapping paper for the children and their class mates parties. Other friends were in the same position. Always having to go shopping at the last minute for a card and constantly feeling disappointed at what was on offer in the shops but having no other choice. Now they too are wise and keep a stock of my cards because they are nicer, more afforable, better quality and because it’s just so much more convenient than the last minute panic. I became an Independent Flamingo Partner (formerly Phoenix Trader) in 2012. I fell in love with the bookmarks and then the notecards, then the gift wrap and eventually the whole kaboodle! I’ve expanded my range to include other gift wrap and accessories, including monthly themed subscription box and I now design my own notebooks and have plans to develop that range and others in the future. I love seeing others grow and encouraging them. One of my children now makes her own cards and runs her own little business as a result of Cards and Gift Wrap. Over 30 other women across the country run their own Flamingo biz in my team and that’s growing monthly. My notebooks are designed to encourage and boost self confidence. These things alone are motivation enough to keep running my business. It’s never ‘just a card’. That’s kind of me…oh and my husband is a self published author so that also motivated me to build a business that would allow him more time to write and market his business. Well done if you’ve read this far! Day 2 What ‘Just a Card’ means to me. Funny cos what it means to me is the exact opposite. When you send ‘just a card’ it’s never ‘just’ a card. It’s a smile, it’s a hug in an envelope, it’s an ‘I care’. When you receive ‘just a card’ it’s never ‘just’ a card. It’s a warm glow inside, it’s a wow someone thought of me, it’s a heart pounding boost. When you buy ‘just a card’ from me it’s never ‘just’ a card. It’s showing that you appreciate quality design and not the mass produced. It reminds me that it’s worth the effort running my wee biz cos you need it. It supports a family of 4 kids to do what we do, which is spend as much time together as possible. Day 3 share the love. Here are some of the places I get my own cards from and others where I get supplies from. Meanwhile here’s the tagline that the Greeting Card Association agreed on for the card industry…I think it pretty much sums up what happens when you send ‘just a card’ don’t you? I get all my cards from Flamingo Paperie, you can buy a bundle here or pick your own here. 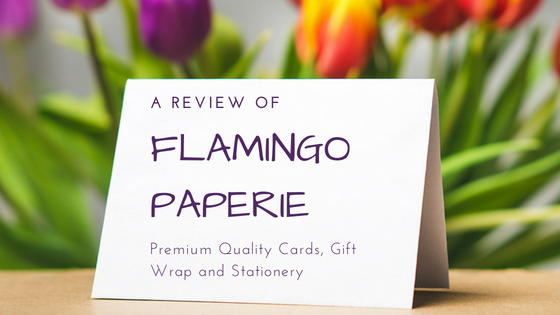 Some of my gift wrap comes from Flamingo Paperie too but most of it comes from Deva Designs, including the ribbons, bows, tissue, gift bags and most of what goes in my monthly subscription box. If you see something in Deva that I don’t have in stock, just ask and I’ll add it to my next delivery from them. All the colouring in tablecloths now come from Eggnogg, they do some fabulous other products too. My favourite tablecloth is the party one because it has cake on it! I have recently added notebooks, designed by me, to my stock. There are new designs in the making all the time. My first one was the So Flamboyant one. You can browse all my items in my shop. If you can’t find what you’re looking for, please just ask. Every time you buy from a small business a real person does a little happy dance. I am no exception. Even when you buy ‘Just a Card’ from me I do a happy dance. You’ll have to nip over to my Facebook page or Instagram profile to see this one. So you see really, it’s never Just a Card! 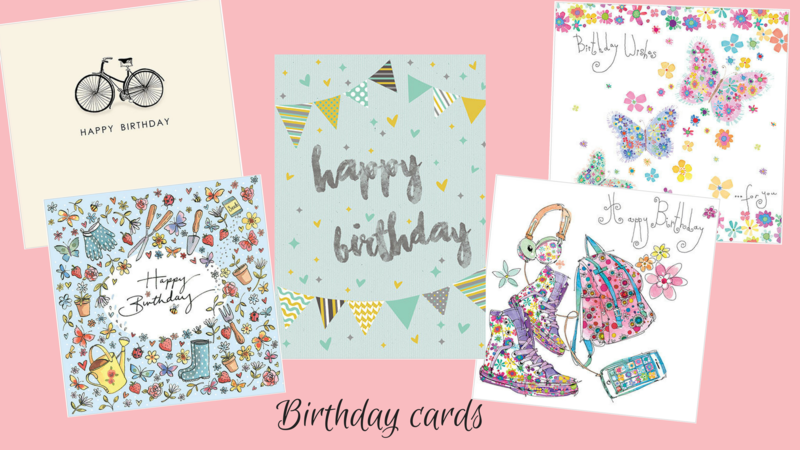 Find the perfect birthday card from our exclusive range of illustrated designs. With plenty of birthday cards to choose from and new designs added regularly. The card you need is right here. All our cards are made in the UK and are all blank on the inside for your own message. 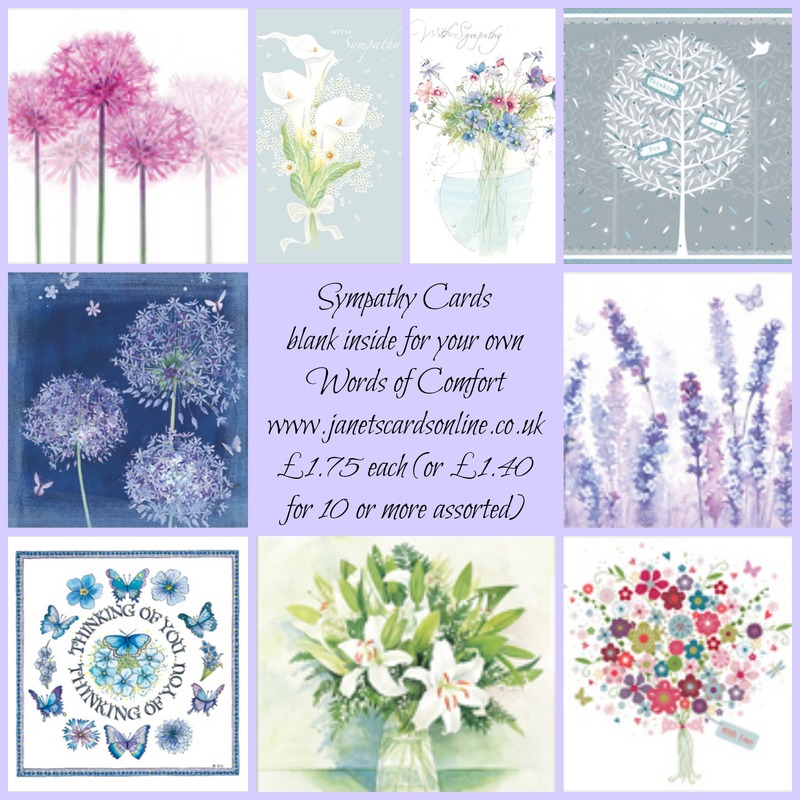 At £1.75 our cards are great value and even more so when you save 20% by buying 10 or more assorted. We also have a fabulous range of gift wrap, ribbons and tissue for all your present wrapping needs. Our gift wrap is such quality that it will not rip when you are wrapping. If you’re stuck for gift ideas then you might like our colouring activities. Does your company send corporate Christmas cards? Your company can now send exclusive, charity Christmas cards, all printed in the UK, all from ethical sources. You can choose the card, whether you want it glittery, embossed. Send corporate Christmas cards this year that look good, do good and are good. Look good because our artists are some of the top illustrators in the UK. Do good because all our Christmas cards are charity cards. 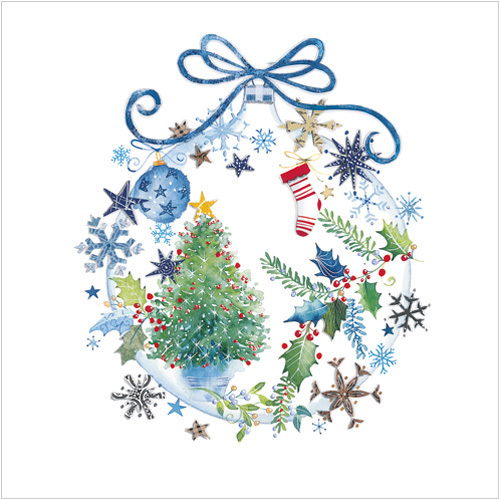 3 great messages for your UK business to promote through their Christmas cards. Ask me for a sample pack or take a look at this year’s brochure to get started and order before October 10th for a 10% discount. 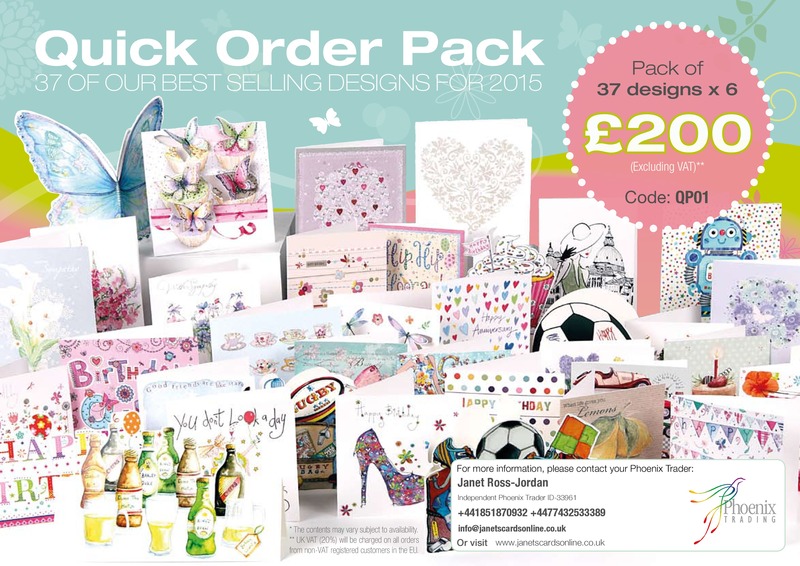 Place your order directly through my shop or contact me and I can help find the right card for your business. A handwritten card is a powerful tool for your business. Make an impact this year with Christmas cards that look good, do good and are good. Why send Christmas cards at all? Shocked to read that half of today’s 13 to 19-year-olds have never written a thank you letter – and even more concerning, one in 10 do not own a pen. These worrying statistics are, in part, due to rise of online messaging. Just like the advent of the iPod put many of our Virgin Megastores out of business, the texting teenager is determining the fate of the pen. Image from Virgin.com While yours truly has embraced technology – communicating and blogging on the go via mobile phone and iPad – I still love to write down my thoughts and feelings. I carry a notebook with me wherever I go, and author letters whenever I get the chance. There’s something so romantically resolute about putting pen to paper. It holds more meaning, more intention and more substance than digital text. Image from Virgin.com I found it astounding that around 83 per cent of teens surveyed have not written a love letter. What a shame! As a young lad, one of my favourite past times was writing poetry and letters to my sisters and the objects of my affection . While I was by no means a Casanova, it allowed me to express, and come to terms with, my feelings. Read my first poem, Lacking Love. Image from Virgin.com Teenagers should be encouraged to write letters. Letter writing is not only a good emotional outlet, but it also helps build key life skills like hand writing, spelling and grammar. Sadly, critics believe that texting will see the art of handwriting eventually disappear, and two thirds of teenagers admit that using their smartphones and social media is detrimental to their writing. It’s time to bring back the pen. I urge everyone, and not just teenagers, to write a letter to someone today. Or to get even more practice, do what I do, keep a notebook with you and write down your thoughts, ideas and dreams as they come to you. Take up the challenge and write a letter, or send some thank you cards today! Are you mad enough to send a card? Help to create a wave of love, caring and happiness during this special week by harnessing the power of sending and receiving greeting cards. It’s been scientifically proven that receiving a handwritten card makes people feel much more special than receiving instant texts, emails or Facebook messages. And it feels really good to send them too! This is all great for everyone’s health and wellbeing. Cognitive neuroscientist, Dr Lynda Shaw, firmly believes that receiving cards helps to stave off feelings of loneliness and isolation, increases self-esteem and even wards off the early stages of depression. So let’s all get happy by connecting in this most meaningful way! 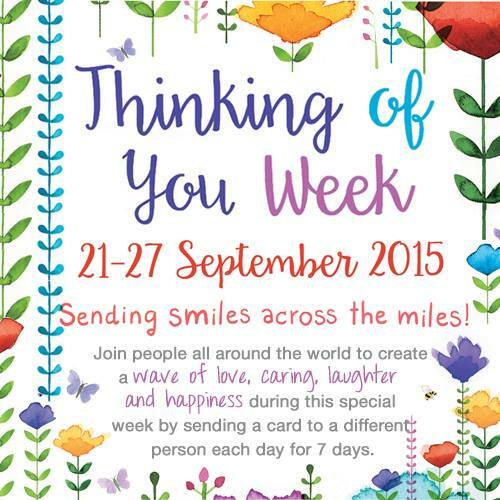 Send 7 cards during this week and encourage your friends, colleagues and their families to do the same. Feel free to give them in person or pop one through a neighbour’s letterbox too! 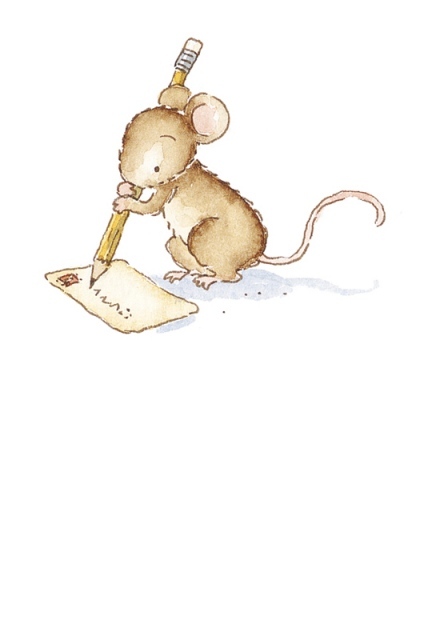 Write a message just to say hello, to tell someone you love them, to make them laugh, be supportive in a time of trouble, wish them better, kiss and make up, or just to say…thinking of you! By buying this pack you are also supporting others who need to know someone is thinking of them. £2 from every pack bought will go directly to Hebrides Alpha Project. At Hebrides Alpha Project, we provide a service for persons aged 18+, seeking to recover from alcohol, drug, mental health or criminal justice related problems and to assist them to become confident, responsible and valued members of the local community. We offer an abstinence based Supported Accommodation service. Sometimes it’s hard to find the right words but in difficult situations I believe your own words are often the best. All our cards are blank on the inside for you to add your own thoughts, fond memories or reflections at those difficult times. This is just a few of my favourite cards for these situations and you’ll find some of these, and more here. What do you find helpful to read in a sympathy card? Do share in the comments below, it might help someone else who is struggling for words. Exclusive cards for exclusive businesses! 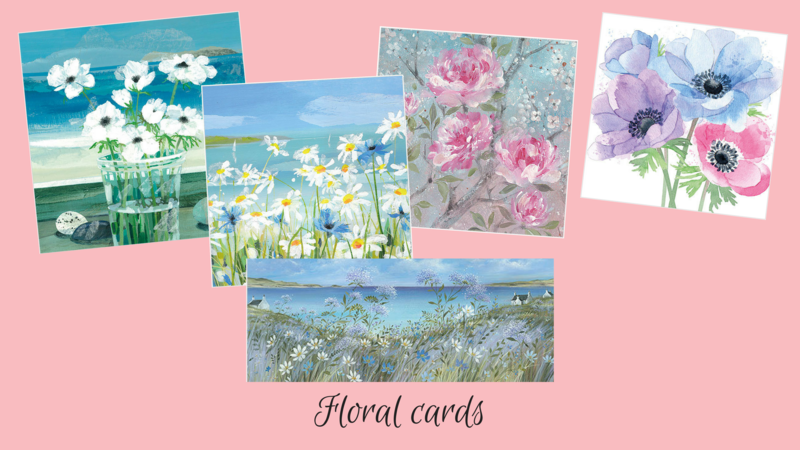 If you’d like to see a better range of greeting cards available locally, all high quality with stunning artwork and illustrations, at prices that are really good value – then why not stock Phoenix cards in your area? Many people contact me from all over the world wanting to know how they can buy Phoenix cards. Well here’s the thing – they can’t – unless you sell them! Wherever you are in the world you can now be an International Business Customer with Phoenix Trading. 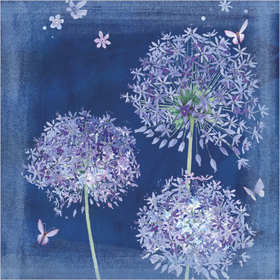 You can buy cards at a discounted rate and sell them on to friends, family, through your business, small shop, hairdressers, post office, etc., making a nice business for yourself – and of course having a never ending supply of fabulous, gorgeous cards for your own personal use too! 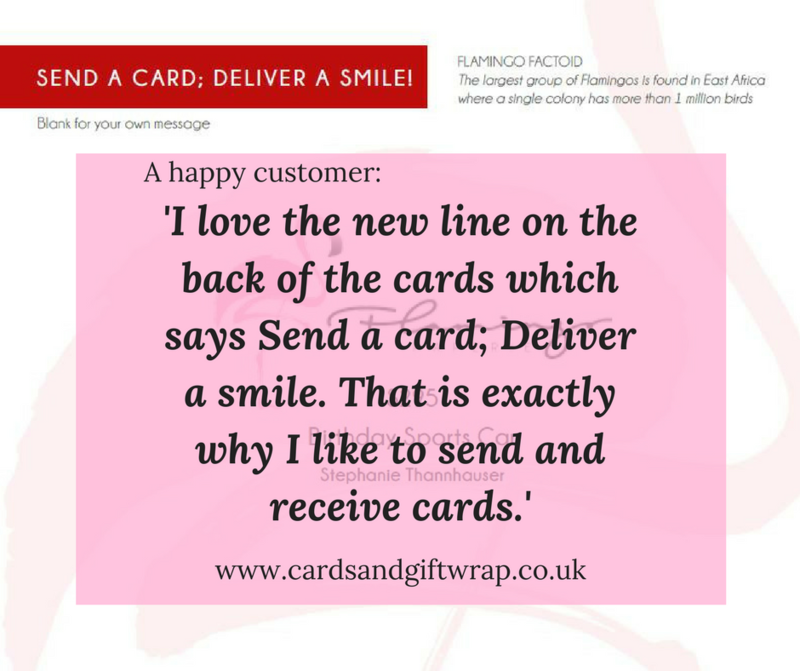 This is a great opportunity, if you love cards and want to see a better choice, quality, price of cards in your area then you can make that happen now. Registration form and full terms and conditions. If you don’t know where to start, and what to order first, we’ve even put a pack together of some of our bestsellers to get you off to a great start. However, you can’t do this if you’re in the UK, France, NZ or Australia – that’s because if you’re in these countries you have the amazing opportunity to become a Phoenix Trader and build a team of Traders around you. Be the first in your area to stock these amazing cards, you can order now and I’m sure your friends and neighbours will thank you for it. I bet they’d love to know a ‘card lady’ they can depend on!